Since the beginning of their domestication, dogs have been a part of the human world. Because of their instinctive guarding ability, they are used to protect livestock and even as police dogs, or even as house pets performing tricks. Noticeably intelligent creatures, dogs sure do make great and loyal companions. Although often described as “man’s best friend”, these creatures, weren’t naturally designed to interact with humans. From time to time, there have been reported instances of dogs attacking owners or other people. Although extreme cases are rare, it is still important that we are aware of the dangers and responsibility of having dogs. The following is our list of the 10 most dangerous dog breeds in the world. 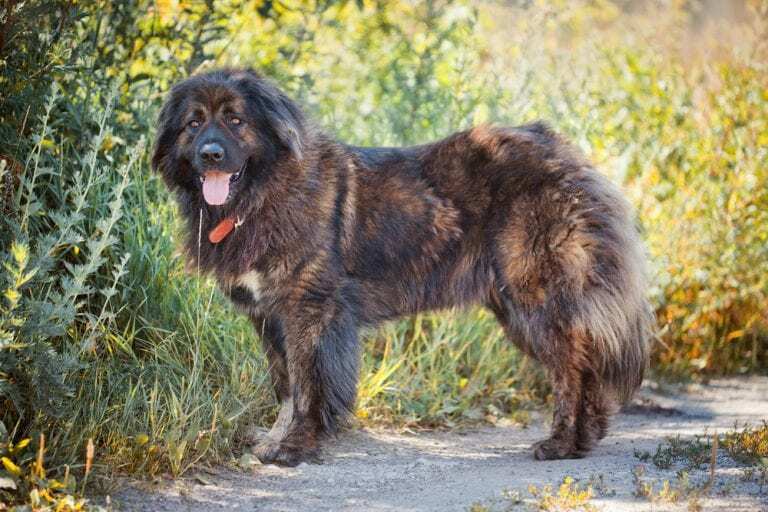 Meet the topper of our list, also known as Caucasian Ovcharka, this dog can grow very large, minimum of 50kg or 110 lb. for an adult male, life span average of 10-12 years. 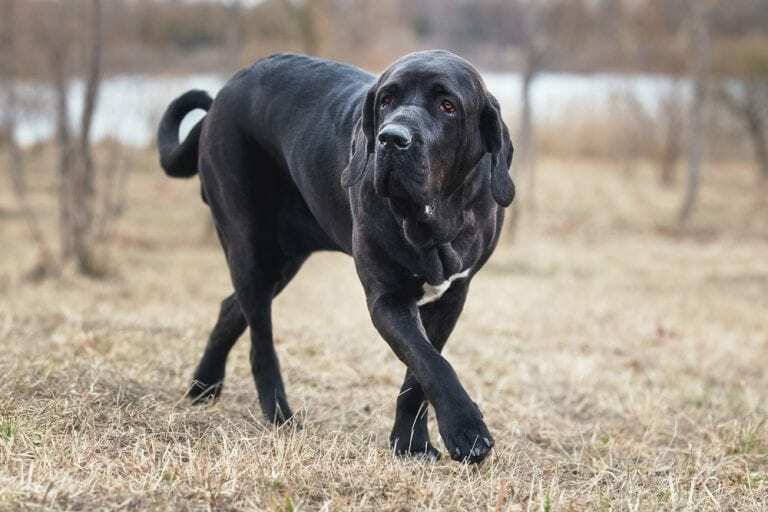 This breed originated from Russia and other European countries, originally used as guard dog for protecting livestock in mountain regions, these dogs are even feared by some popular wild predators such as wolves. A very popular breed of strong dogs and many times accountable for cases of attacking humans. 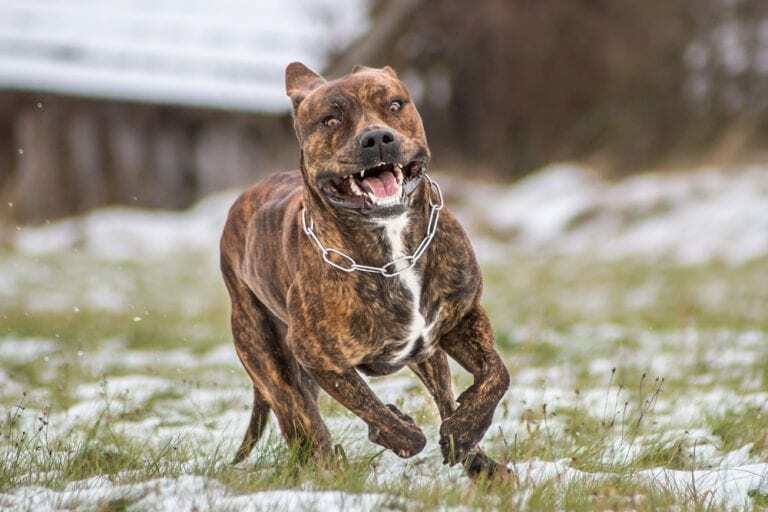 This is the resulting breed when you combine the energy and agility of terriers and the body build and strength of a bulldog. 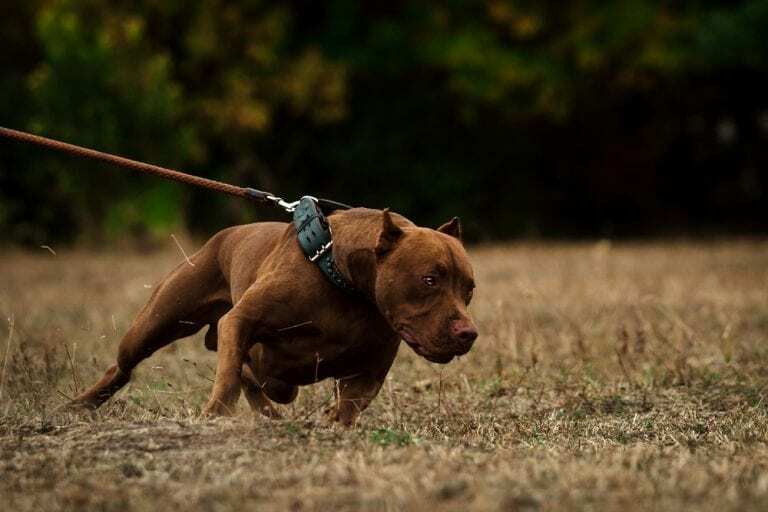 In some countries, Pit Bulls are even used in dog fights, where the dogs are trained to fight each other in a death match. A breed of dog that is well-known for its fearsome reputation. This dogs are one of the oldest breed herding farm animals. Rottweilers are very intelligent and aggressive by nature and are very effective as guard dogs. 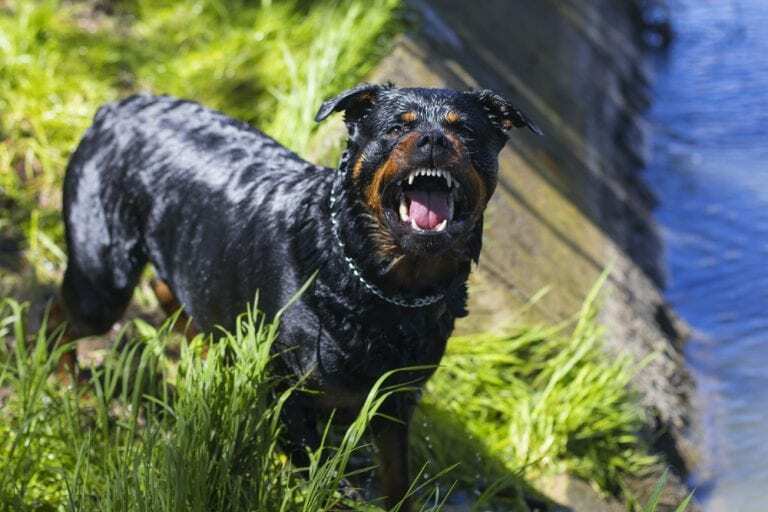 Almost half of death caused by dog attacks in the US are reported to be caused by them. 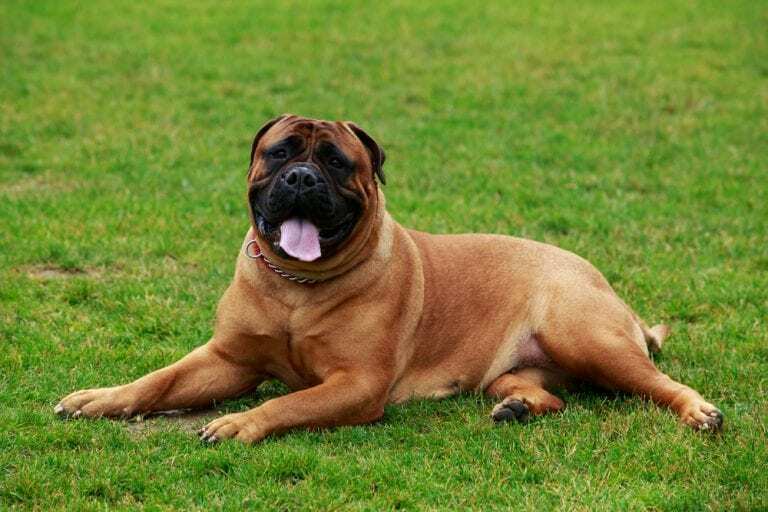 Aka the Brazilian Mastiff, are one of the largest breeds of herding dogs. This particular breed originated in Brazil makes excellent guard dogs but requires experienced owners. Very aggressive and protective, these dogs are feared due to their uncontrollable behavior and many instances of fatalities caused by their attacks have been reported. Originally used as sled dogs and carrying heavy loads, these popular Arctic breed is one of the largest domesticated dogs that can grow up to 100 lbs. capable of surviving extreme climates. Malamutes are natural hunter and can even kill large predators such as bears. No wonder, this dog is fearsome. These breed is a mixture of domesticated dogs and wild wolves. These beasts have protective instincts and can be very wild due to their unpredictable behavior that probably resulted from breeding wild animals with common dogs. In some countries, owning and breeding this dog is prohibited. Bullmastiffs are powerful, strong and solid-built dogs. Very sensitive guarding abilities, these dogs are dependable and efficient when it comes to security. With consistent training, these dogs become very dependable and obedient. But there are many incidents of attacks that even resulted to fatality. A popular breed of domesticated dog, Huskies originated as sled dogs in the Northern regions. Extremely agile and good at carrying freight with thick coats and unique color patterns and striking facial mask added with special blue eyes. They are closely related to Malamutes and are noticeably resembling to wild wolves. 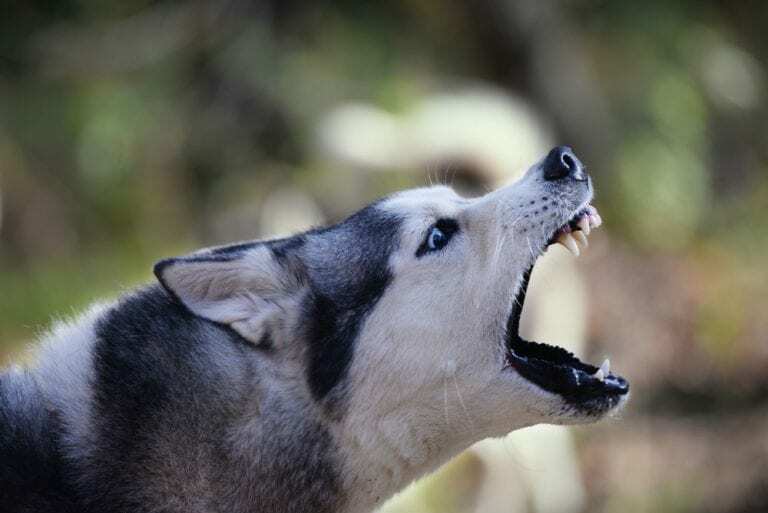 Some cases reported are Huskies working with their pack attacking humans. Famous for their agility and tracking abilities, these breed of intelligent dog makes the perfect guard. However, they require a closely monitored training with consistency and patience. 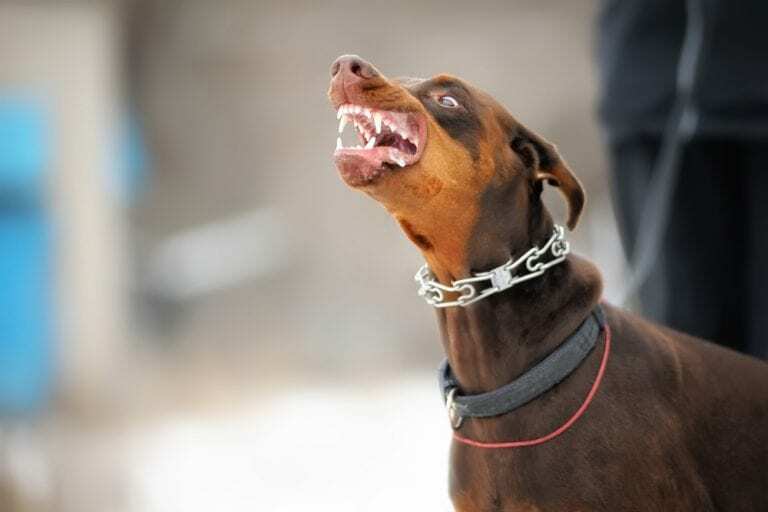 Doberman Pinschers are very capable of killing humans. They are very sensitive breed, and can be very aggressive in most cases. Not fair! I have owned and personally known a lot of dogs from breeds on this list. Not ONE was aggressive. Our Dobie was actually timid and ONLY defensive when he was sick or injured AND was NEVER alpha dog in groups of dogs of “gentler breeds.” All of our pitbulls were and are substitute sitters for our kids also not ever an alpha dog in their packs. blog’s posts daily ɑⅼong with a mug of coffee. Husky’s are not as you say. You must be drunk to say such a thing. I look forward to raking you and this sight over the coals for making such a uneducated opinion of Huskies! Idiots! Morons! Why are people that write these article so ignorant when it come to knowing what they are writing about? What do you writers do just go read someone else article that is as ignorant about dogs as you are? You need to do a little more research. Most of the dogs listed aren’t anywhere near what you are claiming they are. More people are bitten by small dogs then larger breeds but the damage a larger dog can do usually gets all the attention. I personally have known several people that have facial scars from small dogs (shih tzu, jack Russell, Chihuahua). A friend of mine had her nostril ripped open from a Chihuahua when she went to give her mother a kiss goodbye. Rottweiler’s by nature are gentle loving dogs but will protect their family and home with their lives. Try reading the akc website to further educate yourself. People by nature are afraid of large dogs and think that small dogs are cute and cuddly. Certain breeds get a bad wrap because of poor owners no different then being a poor parent can yield ill mannered children that have the potential of being horrific adults. Poor quality breeding (inbreeding) can bring out characteristics not usually found in a breed. I have personally had over my lifespan 3 Rottweiler’s, pitbull, 2 pitbull mixes, 2 shepherd mixes, chow mix, greyhound mix, great dane, boxer mix. All the dogs listed I rescued with the exception of the Great Dane. I have trained dogs as well as rehabilitated dogs. I believe the are no bad dogs just bad owners. If you do not understand how dogs think or do not have the ability to read a dogs behavior then you should not have a dog. If a person does not educate themselves before getting a dog then they put themselves as well as everyone else at risk of being harmed no matter what breed it is. Ok, so i just saw alot of ignorant ppl calling others ignorant and i believe ur judging from a sentimental point of view. stop thinking in ur arses and listen up. The dog list shows the dog that has the potential to be the most dangerous, it didnt say that they couldnt be nice and loving and wtf do u know about rottweilers man. Just cuz u owned one doesnt that was chill doesnt make it less dangerous. I had one, had to shoot it cuz i came home in a different shirt and i always treat my dogs with love and care. I could sit for an hour and pet and play with it daily. Of course smaller dogs do participate in attacks as do all dogs. There isnt a single breed of dog that will not attack ppl. And yes huskys do hunt in packs against ppl. The article is not wrong. U raised urs to be loving. cool thats good but whats written here is how dangerous these dogs can be. A chiwawa isnt all that life threaten compared to these and yes size does matter. only an ignorant dumbass wouldnt consider size. I can kick away a chiwawa which makes it less dangerous cuz my kick can kill it but not a pitbull or german sheperd. Those would tear my leg off so naturally they are more dangerous so i repeat once again, they are not saying they cant be loving and kind but when compared these dogs listed has the potential to be the most dangerous of the lot due to their strength intelligence and size bundled with their deadly demenour. Some of these are naturally aggresive but cant u really tell me gorillas arent deadly. they will kill u but they can be trained. Same goes for dogs. Its not about how friendly its about how deadly they can get and these are the ones that can become the most deadly. U even said it urself “More people are bitten by small dogs then larger breeds but the damage a larger dog can do usually gets all the attention” because the damage is more it means more deadly. Nice and simple. A ant is less deadly than a baby scorpion. A small breed of dog is less deadly than a bigger breed so even when the small breeds bite more we wont complain about a scratch but we complain about a chewed off limb. So once again i repeat to ur ignorant dumbass. These dogs have the potential to become the most deadly dog in the world as well as the best cutest dog in the world. But what is written in the article is to educate people about the possible dangers not the possible cuteness. The reason they are here is because they are more deadly than the smaller breeds just like how a cobra is more deadly than a boa. One has poison the other doesnt one dog has big teeth and aggresive nature one has small teeth and aggressive nature but the room for growth in the area is more so for bigger dogs. Venomous snakes don’t have poison, they have venom. Please share with us. What is your research? What are your statistics? These large breed dogs were mainly bred for purpose. Guard, Herding etc. theses traits run deep in their genes. I have personal experience with Bull Masttif, Rottweiler, Doberman. These fine breeds are extremely sound of temperament and intelligence. I’ve never met one I would consider dangerous. Even my rescue ventures have responded well to balanced handling. Dogs of their caliber are NOT overtly agrressive as their appearance might suggest. It takes the negligence and nastyness if an ignorant human being to cause these breeds to act contrary to their natural purpose. This has got to be the dumbest list I have ever seen. I’ve owned 5 of the dogs on this list. Bull Mastiff, Husky, Malamute, Rottweiler and Pitbulls not one of them had any agression problems at all. Can a dog be vicious of course it can but it isnt the dog it’s how you train that dog. My two old Great Danes were lovable giants but you step foot in my home without me or my wife home they going to tear you up. My German Shepherd wouldn’t let you in my yard if she didn’t know you. I have mixed pitbull right now who is the most lovable thing in the world just wants attention from everybody but you try to harm my wife she is going to hurt you. One of our best friends has 4 chihuahuas one of them bites you everytime you walk in her door if he isnt put away in his room. 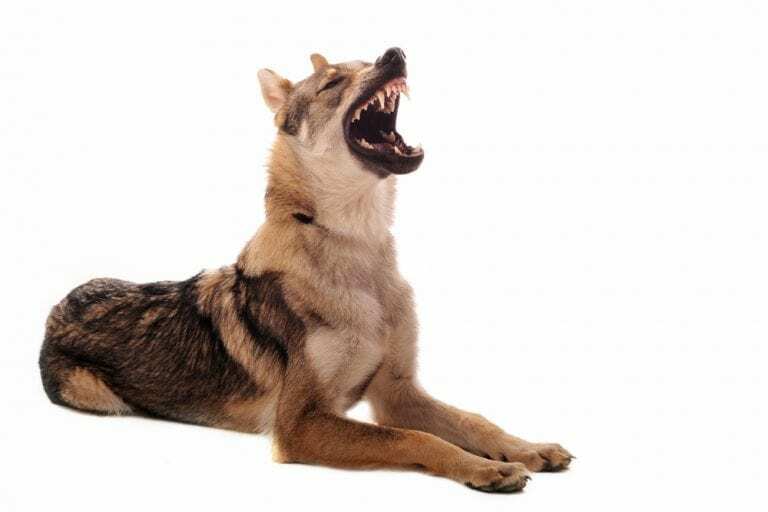 Ever dog has the capability to bite someone but if taught well enough to interact with people from a young age there should never be a problem. It’s people who get these dogs and dont know how to train them or what the breed can do if left without rules just like a child you have to guide them with repeation. It’s all in the learn process!!!!!! are u gonna mad . If any dog is dangerous than why dogs are called a faithful animal , than any dog specialist never deny to train any dog .. I think U have not watch any dog till now or may be u are worst than any kind of dog.